A baronial Barossa estate with a proud tradition of Australian agriculture which dates back to 1866, Schild have amassed a remarkable list of international awards for their stately wines. Their offerings are highly treasured by enthusiasts around the world. A dry grown, bush vine Grenache, Mourvedre Shiraz, from blocks averaging seventy years of age, precious old sites which are able to withstand wicked bursts of Barossa heat. The gnarled old vines are treated to meticulous viticultural management, yielding berries of outstanding quality. After thirty years of pioneer farming in the harsh South Australian Mallee, Ben Schild had a vision of settling down to a property which was better suited to viticulture. 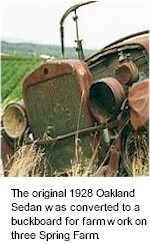 Schild purchased Three Springs Farm in the 1950s, a promising site which already included a block of productive vines. Hand harvested to exacting timetables and at optimum ripeness, batches of Grenache, Mourvèdre and Shiraz are picked off the heirloom Three Springs, Kleemans and Angus Brae vineyards at Lyndoch in Rowland Flat. Batches are pressed and treated to a traditional course of open fermentations, bottled early with minimal filtration but without any exposure to oak, achieving a wine that's complex and beguiling yet fresh. Bright crimson purple. Intense spiced red cherry compote bouquet. Old vine Grenache fruit presents itself on the front palate with a juicy red berry intensity, Mourvèdre and Shiraz add blueberries, ripe lush tannins and a vibrant mineral structure. Hints of white pepper and spice over a soft tannin framework, followed by a long and supple, dynamic finish.